In today's post, we will be discussing generic delegates in C#. Previously, I talked about basics of delegates here. In that example, we used the Employee class for our delegate. The arguments of Employee type were hard-coded and the delegate could not be used with any other data type. With generic delegates we can make the delegate to use a generic type and be flexible with the actual type being used in the delegate. As we discussed constraints last week here, by having constraints we will be able to use the specific properties of Person class in our method definition. So here we created three employees and compared them. We saw how the generic delegate can take any method (with appropriate signature) and can be used in our code. 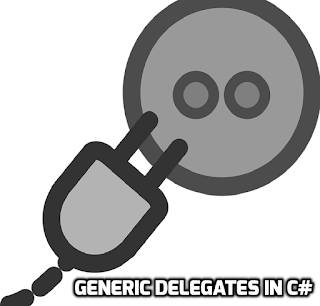 For delegate instances, we can have different methods (maybe with different constraints) which can be used with the delegate. This way we can generalize our generics and use them. 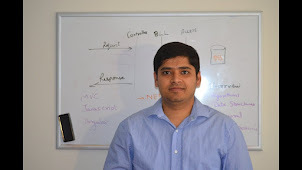 I can have separate method for IsEmployeeSame and IsPersonSame. If I want to add a new type, for example, Manager deriving from Person and I want it to use AreSamePerson to compare, I can do that or if I want to write a new AreManagerEqual (with Manager type) method, I can also do that. So in this post, we saw how generic delegates can be useful to us along with an example. The flexibility it provides can help us in different situations.